Desfrute de atenção personalizada do seu guia e da capacidade de viajar no seu próprio ritmo nesta excursão de meio dia que inclui Kotor, Perast e Our Lady of the Rocks. Concentre-se nos recursos da área que lhe interessam e tenha a chance de fazer muitas perguntas ao seu guia. 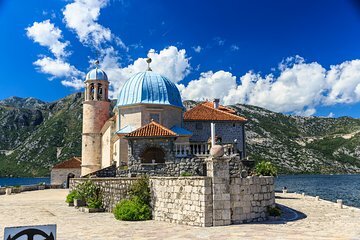 Explore a cidade barroca de Perast, dirija-se à igreja e ao museu na Ilha de Nossa Senhora das Rochas e embarque em um passeio a pé pela medieval Kotor. Mille is a fantastic guide! He is very personable, knowledge, and (because we were a small group) nimble. He knows the history of his beautiful country, and loves to share it. Mille was waiting for us at the dock 30 minutes before he was scheduled to - he wanted to start as soon as possible. His tour schedule / route kept us ahead of the big bus tours and really made for some quality time on the island and in town. I highly reccomend this tour!